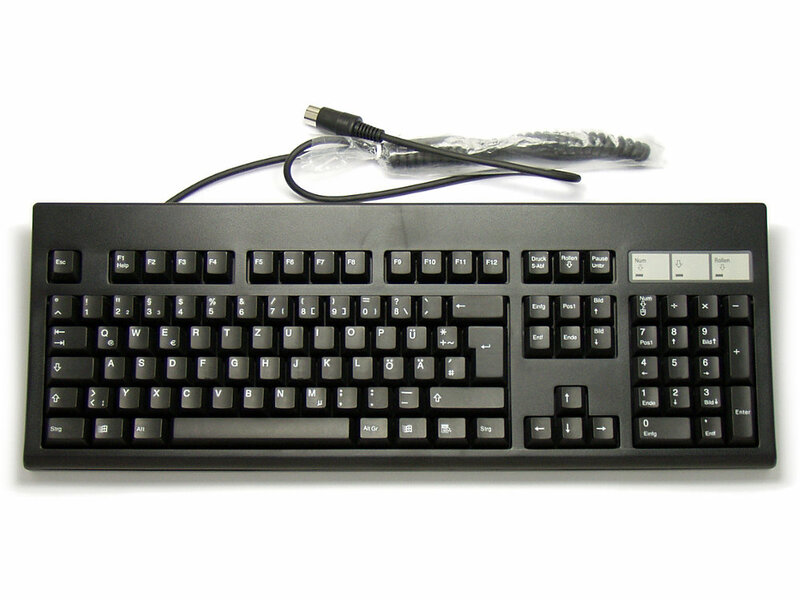 This black Sejin SKR1104 model keyboard is a favourite among engineers. Very solid and reliable the SKR incorporates a novel feature that allows it to be used as either a desktop keyboard or, simply by unclipping the case, as a panel mounted keyboard assembly. This keyboard has a German (QWERTZ) layout and 5 pin DIN / AT connector.